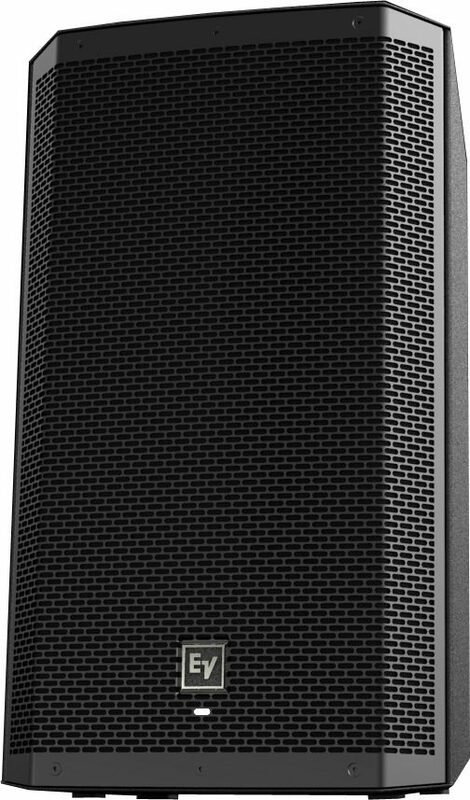 The Electro-Voice ZLX-12P powered loudspeakers go above and beyond most of the other powered speakers on the market. First of all, they deliver an astonishing 1,000 watts of power in a unit weighing less than 35 pounds. 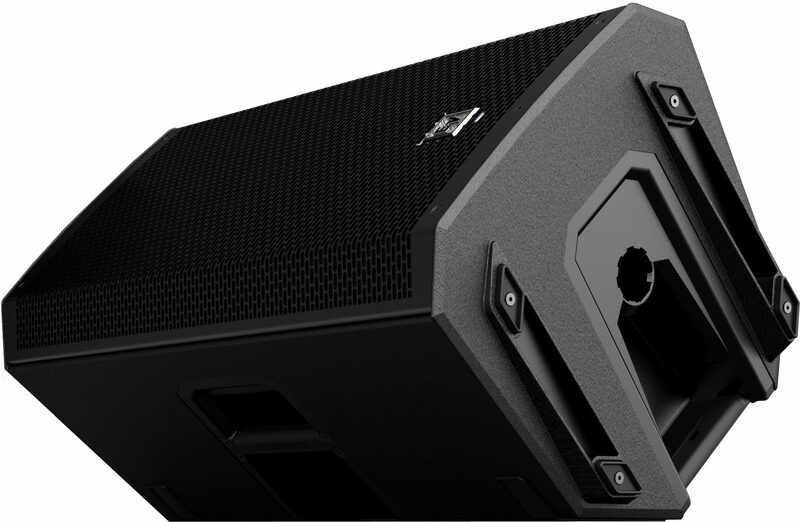 This makes gigging with them easier and more manageable than with just about any other powered speaker. They also come with well-designed onboard DSP that allows you to make precision adjustments to your sound -- right on the speaker itself! 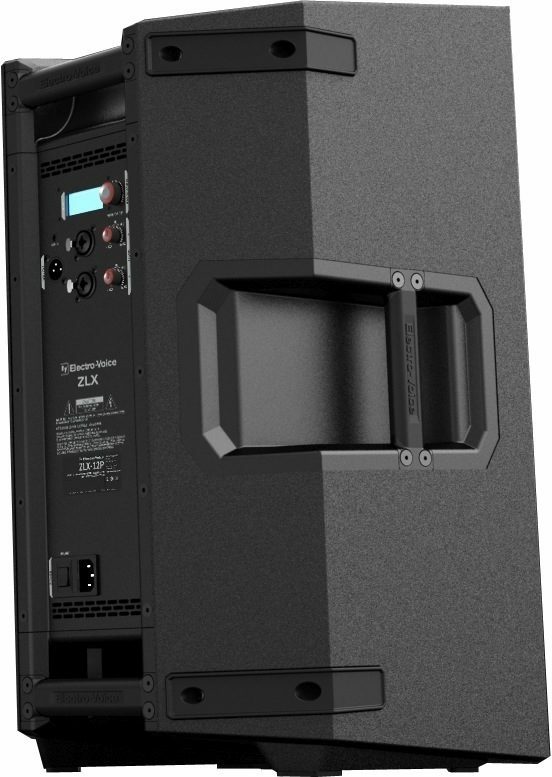 Each ZLX-12P is a true 2-way bi-amp design, driving 1,000 watts between the woofer and tweeter cone. The 12-inch low frequency woofer is an EVS-12K, specially-designed to deliver a low end that is tight and clearly defined even when pushing out maximum volumes. The 1.5-inch DH-1K high-frequency transducer is a titanium compression driver. 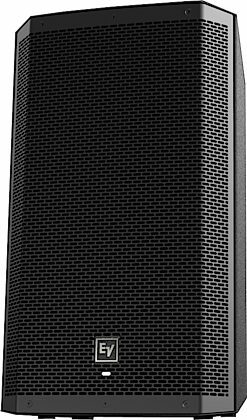 The speakers benefit hugely from the authentic Class-D amp design in the ZLX-12P, which allows the amplifier to use power far more efficiently than an AB switching system, eliminating much of the heat gain common in other powered speakers. The ZLX-12P comes with onboard QuickSmart DSP that not only adds great-sounding signal processing, but is also incredibly simple to use. Rather than presenting an additional bank of knobs or switches, the DSP onboard the ZLX-12P is simply activated by holding down the Volume knob. Menu items then appear on the LCD control screen and can be navigated by turning the knob. This gives you control over Mode and Speaker Location, allowing you to customize the frequency balance and dynamic range of the speaker for Music, Live, Speech, or Club applications. It also allows you to tweak the speakers for use as a Personal Monitor, or to specify output for a Pole or Bracket mount-type situation. Treble, Bass, and Sub outputs are also accessible via the DSP, along with 5 user-programmable presets, visual monitoring of limiter status, input level control and meters -- so you can optimize your ZLX speakers to fit your style and and space. The ZLX-12P's I/O is straightforward and useful. 2 x XLR/TRS inputs, and 1 x XLR output allows you send to balanced sound to and from the speaker, so you can daisy chain other ZLX-12Ps when desired. A handy 1/8-inch auxiliary input allows you to run an external stereo supply from an iPod or similar sound source. 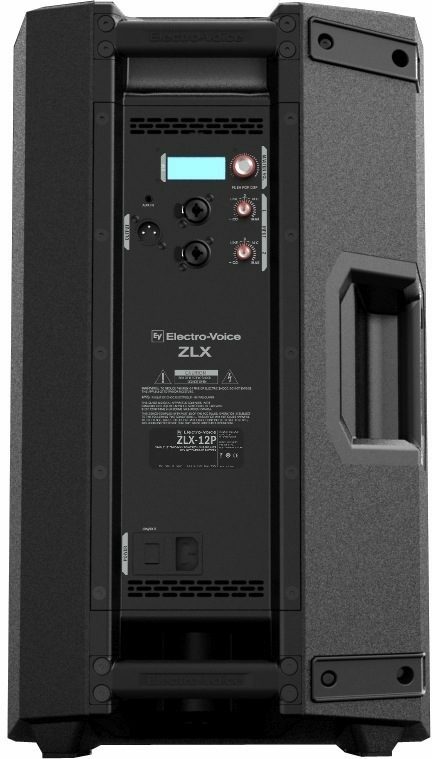 Designed to give you power and performance beyond the scope of other small-format loudspeakers, Electro Voice ZLX-12P Powered Loudspeakers are the standout among speakers designed for smaller-venue sound reinforcement or stage-monitoring. 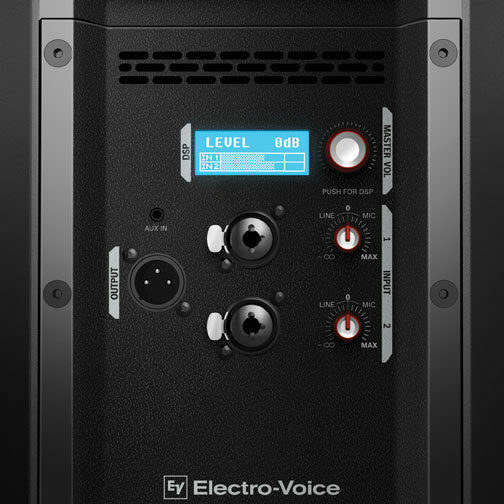 For the power you need at your gigs, the ZLX offers the best features in its price range. The powered ZLX models cut through the competition with the most complete and innovative package of features in their class -- all of which work together to make it quicker and easier than ever to take control of your sound, whatever the show. Style of Music: All Genres.....If I don't have it, i'll get it!